The application of this lipstick is easy and quick. It glides onto the lips with a smooth, strong colour. Whilst I feel that one coat of this shade is all you need, you can build it up for a stronger colour. Once applied, you can blot the excess with a tissue and if you blot gently a second time you can create a matte finish too. 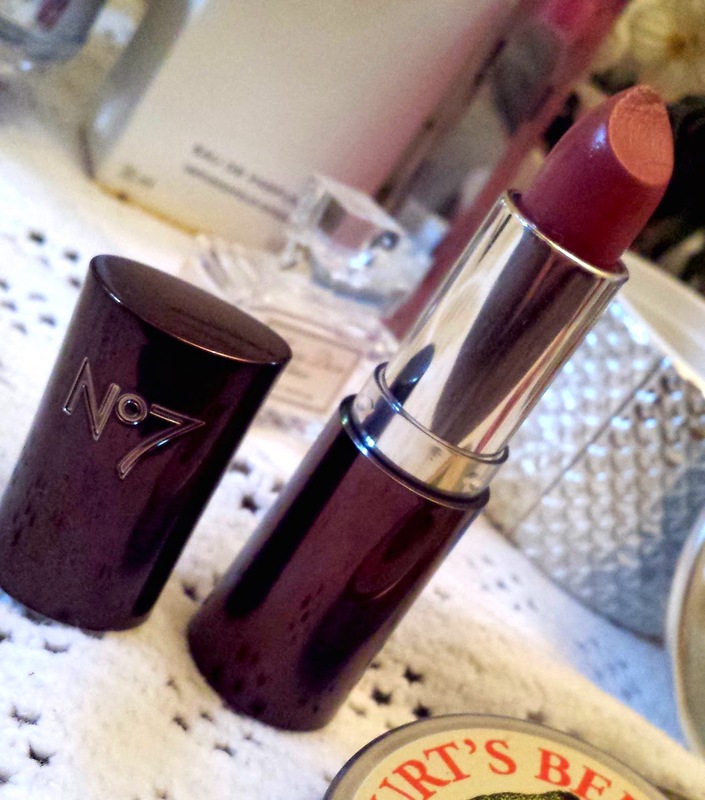 No7’s Moisture Drench Lipstick in Chic is one of my favourite neutral shades for the cooler months. It is long-lasting, which is incredibly helpful if you don’t get a chance to refresh it on the go (or if you just can’t be bothered). It also doesn’t fade too easily when you eat or drink, so it’s suitable for wearing out to dinner or out shopping where you may pick up a coffee or a snack. Well, as long as said snack isn’t crumbly as that may just get stuck on your lips and look a bit daft (which I guess can happen with all lipsticks!). Thanks to its moisturising properties, the lips don’t dry out whilst wearing it, even if worn throughout the whole day or if applied during winter when dry lips are common. It isn’t as moisturising as a lip balm though, so I wouldn’t recommend it as a replacement for one if you need them. It’s because of these things that I find myself reaching for this shade quite often. It just ticks all of the right boxes, and you can’t ever go too far wrong with a product that delivers what you want. Not only that, but I own some much higher priced lip products that last nowhere near as long or look as good after eating and drinking, so I find it to be fantastic value for money. 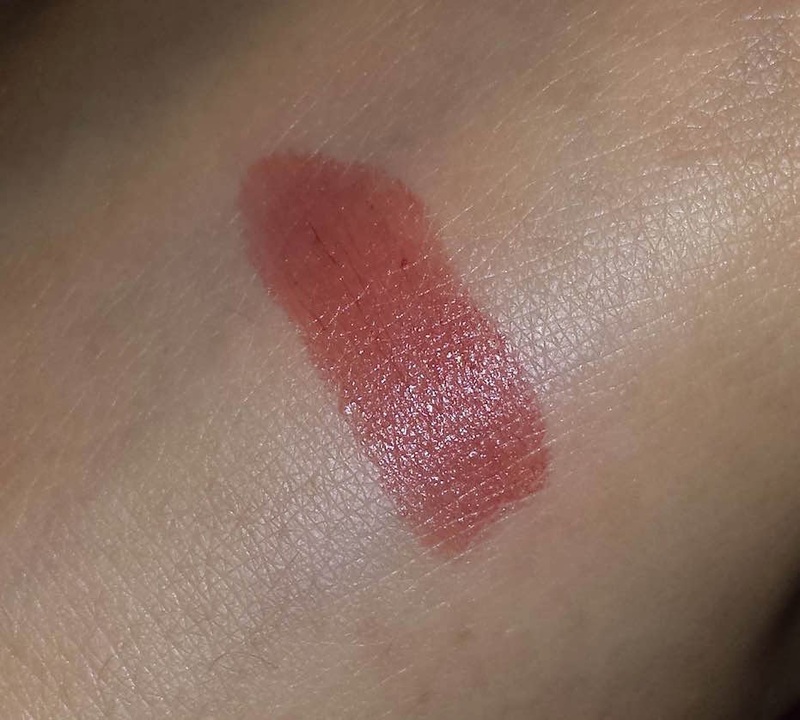 One thing to note is that the swatch on the Boots website does seem more pink than the lipstick looks in person. The same goes for the sticker on the bottom of the tube. 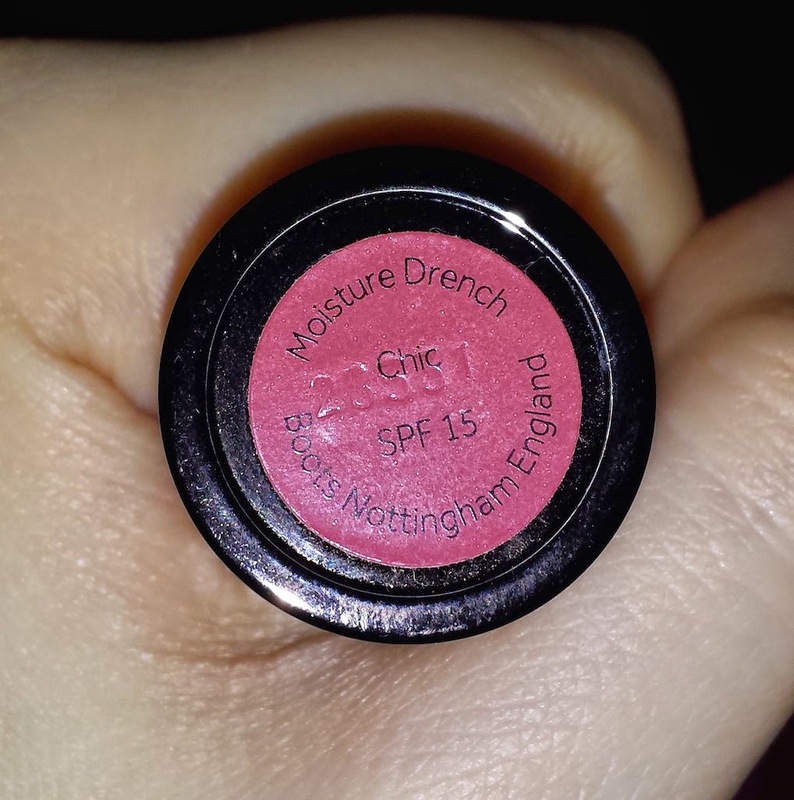 Another bonus with the No7 Moisture Drench Lipstick is that if you shop at Boots frequently then you may often receive the £3 off vouchers that they like to give away. You can purchase a full size tube for £9.95 from Boots, or for only £6.95 if you use a No7 voucher. What are your thoughts on the No7 Moisture Drench Lipsticks? What’s your favourite shade?